The layout was made by my good friend Andrea as we have been making lots of visits to the beach in this beautiful Nth Queensland weather. 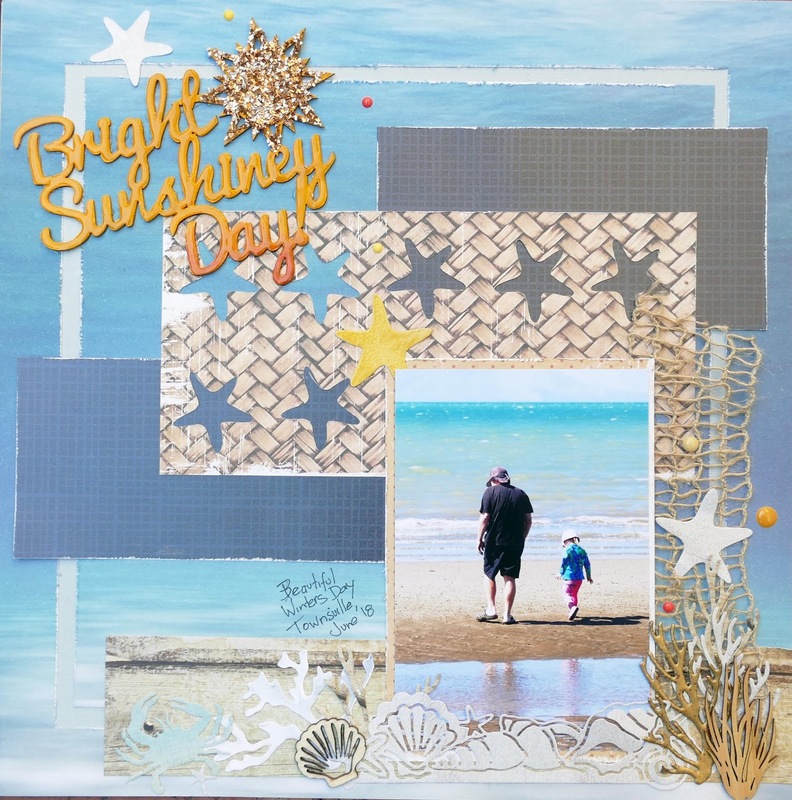 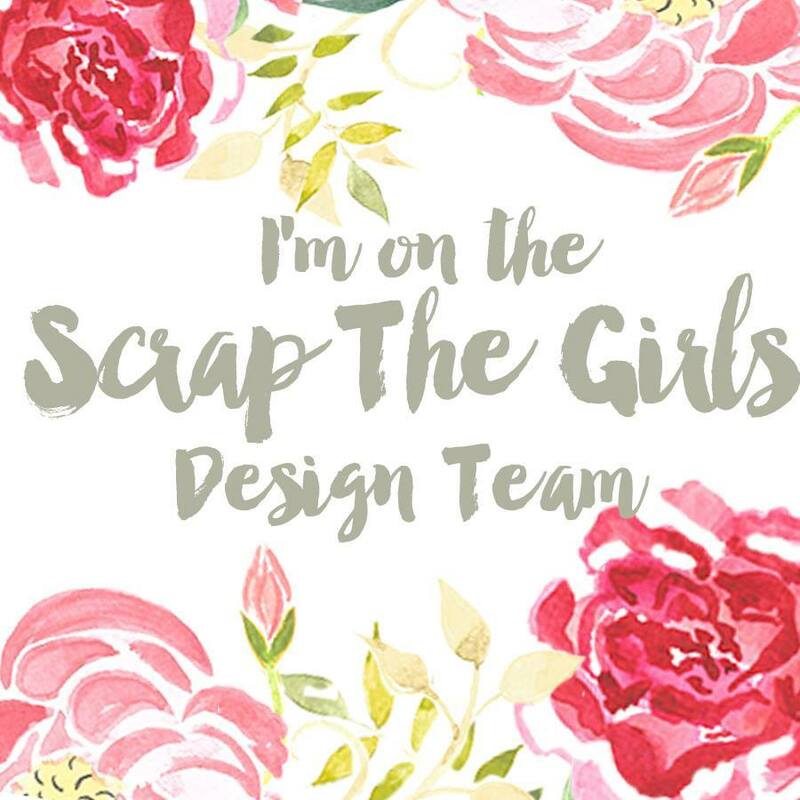 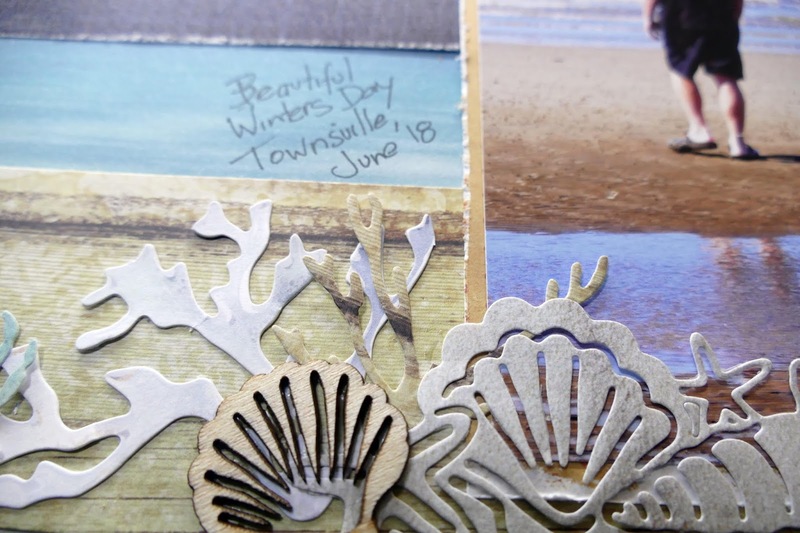 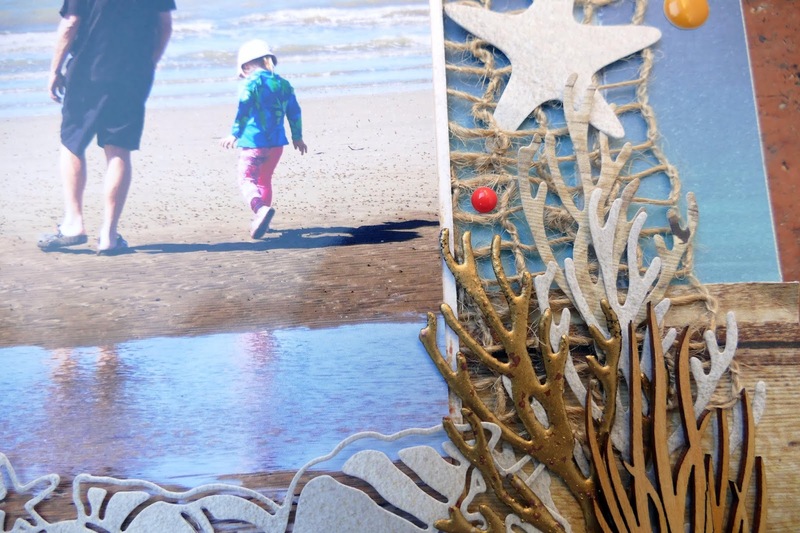 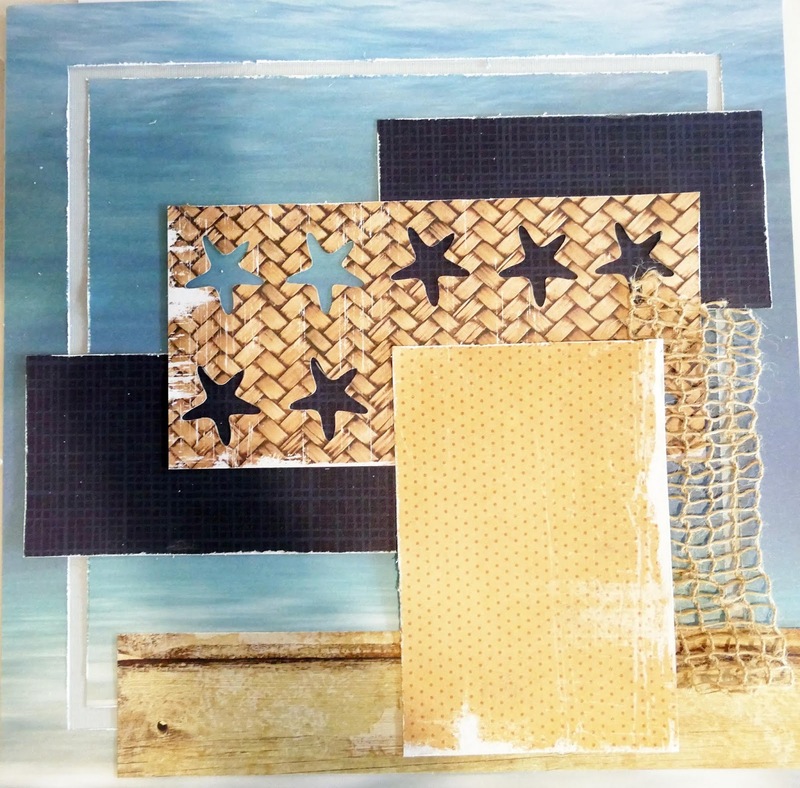 The background to this layout was made by cutting, distressing and layering cardstock. 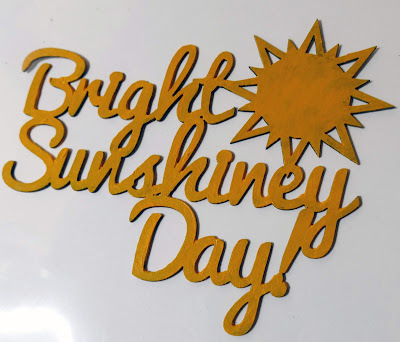 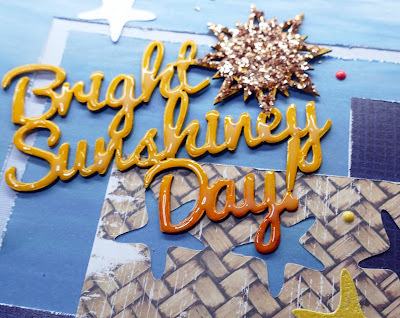 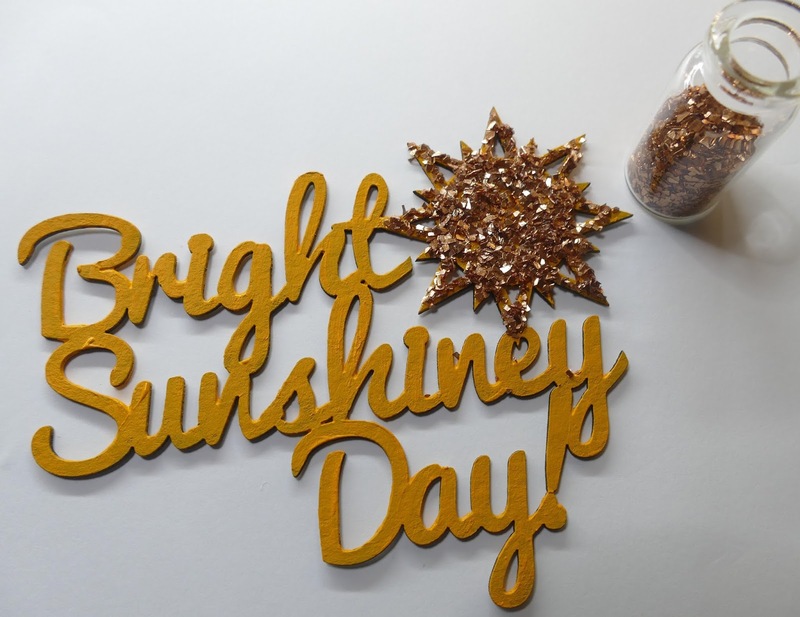 My A2Z Scraplet Bright Sunshiney Day was painted in yellow acrylic paint. To add a bit of bling, I glued glass fragments to the sun, then coated the title in Glossy Accents. The layout was completed with enamel dots, veneers and die cuts.